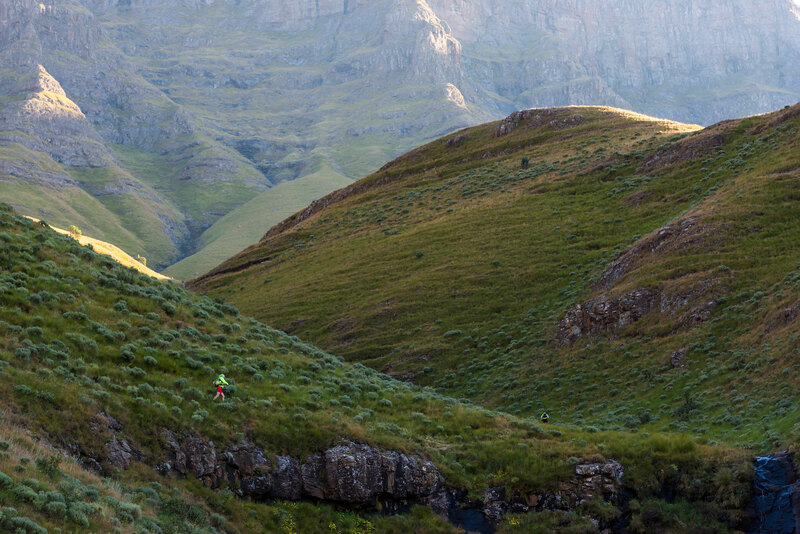 Underberg – The Southern Drakensberg is a haven for holiday makers and with the Ultra-Trail® Drakensberg Festival of Trail Running from 26-28 April falling in the best weather period the region experiences the event’s three different distances will appeal to runners of varying abilities. Sani Pass Hotel provides the base for much of what happens at UTD and is one of the gems of the region with its family-orientated atmosphere and activities. For event stalwart Rhys Foster getting his family to the Berg from Johannesburg is hugely exciting. “From fly fishing to bass fishing to hiking to swimming and my kids absolutely love it and I believe that a healthy family is a happy family so we enjoy every minute we have up there,” Foster said. “Embracing that outdoor lifestyle is crucial and the kids also pick up some valuable life skills when we are up there which is critical. 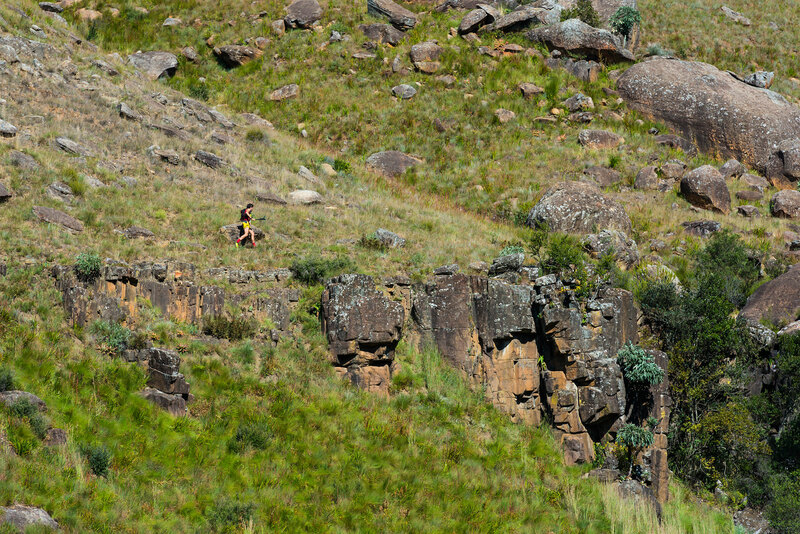 The family-friendly atmosphere of the Southern Drakensberg lends itself to a long weekend of trail running and relaxing. With two shorter options available, the GCU62 and the SDR30, Foster believes that you don’t need to be a racing snake to get through them. “The shorter runs are not at as higher altitude as the 160 and 100km race so that makes them a little bit easier. “Because the trails are so well marked and well prepared you don’t have to worry too much about rolling an ankle or worrying about it being too technical. “I honestly feel that if you go a bit quicker than a hike then you are going to be fine. 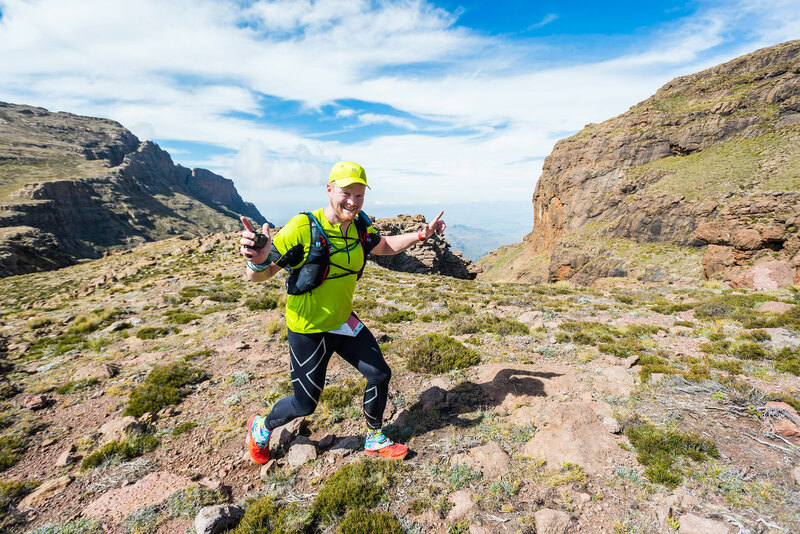 “My first Giants Cup (two-day trail run along the famous Giants Cup hiking trail) I was 106kg and I had done very little running and I found that it was fairly easy. “It is a tough trail but it is not difficult and with regular checkpoints along the way there is a lot of safety around – it is very doable,” he added. Foster has taken part in the UTD160 and the UTD100 and this year will be doing the GCU62. He is no stranger to endurance events but using his trail running as a way to get away from the clutter that is day-to-day life. “I am a runner and people ask me why I don’t run Comrades and I tell that trail running is my escape. “I use running as a way to get away from the hype, the work, the fast-paced lifestyle of Johannesburg. “When I get to the Southern Berg it is just the best place on earth for me to just unwind and destress – it’s my happy place,” Foster added. Conditions of usage of photographs: All photographs supplied and hyperlinked herewith may be used free of charge, with full credit to the photographer and agency as provided. The photographs may not be modified or retouched in any way, but may be cropped to suit the layout requirements of the publications. The photographs provided may be used exclusively for editorial purposes, and may be reprinted in any newspaper, magazine, television programme or on any website. These photographs may not be used for any commercial or promotional purpose, including but not limited to posters, advertisements, commercials, promotional email correspondence, point-of-sale material or any retail promotion. Should such usage be desired, please contact us at the details below. Is this of no value to you? This media release is intended for use by media professionals covering this specific activity or sport. Should this release not be relevant you, please advise us immediately and we will be glad to remove your name from this particular database. It would be useful to us if you could advise us which subjects you would like to continue receiving releases on.